The violin has had a dalliance with gospel music throughout the genre’s history, although more so as of late, due to the cross-pollination of musical styles in the inspirational/gospel category. Brooke “Viosocalist” Alford and Kersten Stevens are two musicians who have recorded gospel jazz projects recently with violin as the main instrument. Katherine Burton is another. A graduate of Temple University College of Music and instrumentalist at a variety of gospel conventions, including the Gospel Workshop of America, Burton rosins up the bow to interpret hymns, gospel songs, and praise and worship favorites on The Lord is On My Side. While she sings a bit, Burton mostly lets the violin do the talking. And talking it does. Like the steel guitar and organ, the violin is an additional voice, chirping, keening and getting happy along to the music. Burton plays the hair off the violin bow as she puts her imprint on sacred songs. 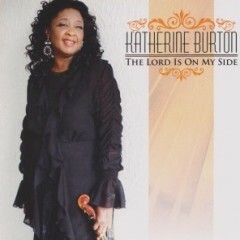 Her interpretation of recent hits such as “Break Every Chain,” “Take Me to the King” and “Every Praise” demonstrate how comfortable the violin is as a vehicle for gospel jazz and P&W. 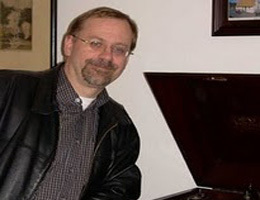 In several instances, Burton gives the songs a Celtic lilt, such as on “Blessed Assurance” and the touching medley, “Tis So Sweet”/”No Not One.” The combination of violin and keys on the dramatic “There Is a Fountain” is reminiscent of the new age duo Secret Garden. The Hawkins-flavored title track and single combines Burton’s vocals and violin, while additional singers Annette Hardeman (wife of Gabriel Hardeman and member of the Delegation) and bass William Beverly Jr. offer contrapuntal parts, giving the performance a classical choral touch. The album and radio edits of the song, however, render the four-minute reprise overkill. The Lord is On My Side is elegant and lovely, and will no doubt be welcome in many churches. Even if inspirational jazz is not your cup of tea, you can’t help but applaud Katherine Burton’s deft musicianship, classically inspired arrangements, and heart-rending melodies. 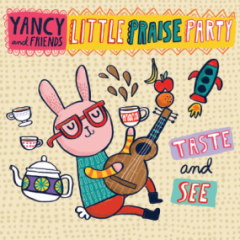 Yancy’s Taste and See is the fourth in the Christian singer-songwriter’s series of Little Praise Party CDs, a series that offers children fun and educational religious music that does not sound childish. The songs work well with Yancy’s key demographic because they employ sugary melodies and infectious rhythms. 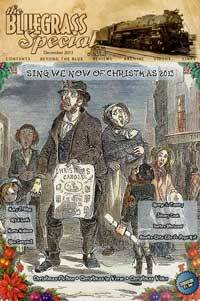 They contain messages that are both easy to follow and to sing. Eschewing the Barney-esque electronic rhythms that assume children have undeveloped musical taste, Yancy and her friends get their points across by brandishing buzzing guitars and thumping drums. There’s even a brief hip-hop moment when “Gonna Serve” interpolates “This Little Light of Mine.” Yancy’s musky but inviting voice evokes Pat Benatar with a bit of a country twang that speaks to her Oklahoma roots. Clips from the sing-along music video from the DVD accompanying Yancy and Friends Little Praise Party’s new Taste and See album. 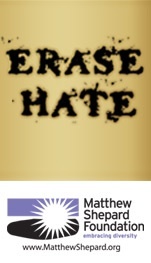 Fifteen new songs for young children address issues relating to faith and spirituality. While many of the songs are understandably uptempo and antiphonal—Yancy leading a cheerful children’s choir in sing-along choruses—the finest moment on the album is a tender and introspective solo ballad. “I Love You Lord” is Yancy simply and earnestly expressing her love for God without any apparent studio audience whatsoever. The title track is about finding God in beautiful things all around us, but with the first verse focusing on the deliciousness of fruit, perhaps the song may also encourage children to eat healthier. Several songs toward the end of the CD are holiday related: “The Bunny Song” and “It’s a Happy Day” are about the true meaning of Easter, while “Best Present Ever” reminds young listeners that Christmas is not all about candy and toys but the birth of Jesus Christ. Little Praise Party: Taste and See, both as CD and companion DVD, is a parade of two- and three-minute blasts of blessing aimed at invigorating the hearts and spirits of young people. 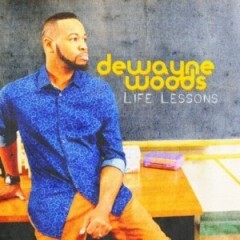 Excellent songwriting, compelling melodies, thoughtful lyrics, and powerful singing combine to make Life Lessons DeWayne Woods’s best project to date. The album is fueled by a team of top-shelf songwriters, such as PJ Morton (son of Bishop Paul S. Morton), Donald Lawrence, Gerald and Tammi Haddon, and Estee Bullock, a founding member of Hezekiah Walker and the Love Fellowship Crusade Choir. Some of Woods’s most cogent life lessons on this, his first album in four years, can be found on “They Said…” and “With You.” Both songs throw shade on self-doubt and living by what other people think or say. Although written by others, those two songs in particular must have resonated with Woods. “Over the last few years,” the “Let Go” vocalist has said, “I’ve experienced extreme ups and downs with life, depression, disappointment with my career and even the feeling of being left behind.” As a sign of healing, on “Worryin’ Never Helped,” Woods admonishes not to sweat any stuff, small or large, especially that which is not in our control. Featuring Anthony Hamilton and Dave Hollister, the current single, “Friend of Mine,” is a catchy call-and-response with a playground rhythm, ideal for radio. Another album highlight is the Donald Lawrence-penned “Can I Lay In Your Arms,” a tender ballad that recalls the classically influenced songwriting of Andrae Crouch and Richard Smallwood. Wilmington Chester Mass Choir alumna Avery*Sunshine lends her church-honed voice in a duet with Woods on “Take the Pain Away,” which includes background vocals by Latrice Pace and Danetra Moore, two soloists in their own right. Another churchy selection is the brief reprise of “Relyin’,” which rolls along on the power of Quinton Ellis’s fine vocals and impressive tonal shifts by organist Danny Wearing. Tammi and Gerald Haddon’s “Try” is dramatic and minimalist, a call to change the world through brotherhood and peace. More gospel artists should write and sing songs like this. 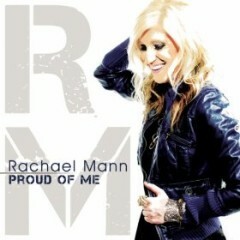 Rachael Mann’s Proud of Me EP, released last July, is power pop-infused CCM delivered with vocal confidence. No newcomer to religious music, Mann has recorded and performed live for years not only in the U.S. but also overseas and with a variety of top-shelf stars. The six inspirational tracks on her EP demonstrate her studio savvy as she encourages the underdog (“Roll with the Punches”) and, on the title track, likens the love between God and humanity to a parent for a child. What separates Mann from many other CCM singers is her deep affection for African American gospel music and her use of it in her own music. Plus, she has opened for Kirk Franklin, appeared in Trip Lee videos, and has shared the stage with luminaries such as John P. Kee, Hezekiah Walker, and Marvin Sapp. Tre’ Corley, who produced the EP, has worked with the likes of Donnie McClurkin. Mann’s love for gospel shows most prominently on the EP’s “More for You,” an urban AC power anthem complete with a rap interlude from W.I.T. It is on the beautiful ballad “Pieces,” however, where Mann really demonstrates her vocal potential. As Lady Gaga showed us at the Academy Awards, a sure sign of talent is when you peel away the heavy instrumentation and the singer sounds even better. That’s what you get with “Pieces.” Given astute management and direction, Rachael Mann is sure to take off. There are preachers who sing and singers who preach. 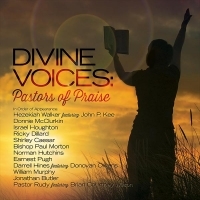 Divine Voices: Pastors of Praise includes some of both. This new various artists compilation comes from Mack Avenue Records, a label which features gospel jazz on its Rendezvous imprint and last year released two similar compilation discs: Gospel Praise Duets and Christmas Goes Gospel. Divine Voices reprises a dozen recent selections, mostly from individuals who began as singers and added ministry to their resumes later. Many of the contemporary biggies are present; the most prestigious coupling is Hezekiah Walker and John P. Kee, who turn in an energetic word of encouragement on “Work in Your Favor.” Donnie McClurkin adds the equally vigorous “Trusting In You,” while Israel Houghton’s big hit, “Jesus at the Center,” injects the Praise and Worship factor. Jonathan Butler’s lovely and melodic “I Stand On Your Word” is a ballad of unquestionable faith in God and among the compilation’s highlights. Another top-notch performance comes from Pastor Shirley Caesar. Her shouting vocals on the James Fortune-penned “God Will Make a Way,” and the song’s overall mood of contemplation, result in an aural mash-up of generations. Bishop Paul Morton has a cry in his voice on his ballad of encouragement, “Your Best Days Yet.” In fact, there are enough songs of encouragement on this album that it could easily have been subtitled Pastors for Hope. You either have the songs on this compilation or you don’t. 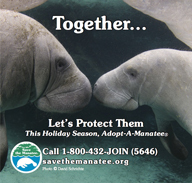 If you don’t, this is an excellent way to get them because the sequence and combination are well considered.